Has anyone seen the new corvette? Man it's the best looking corvette I think I've ever saw. Corvette started the year I was born 1953 and IMHO This is the best yet. Looks great, like a fusion between the GT-R and the 599. Why can't they just make one that looks like the old classic REAL Stingray? I hear ya Mr Riley but they are trying to keep up will the new generation. I love the 1958, the 1963 fastback and the 1967 427/425hp. I even like the 1969 since I drove one for awhile 350/350 4 speed. Gotta love the Corvette.....but I love ALL V8s....we drive a C63. This one's for you, Mike. Last edited by Workingdog; 04-07-2013 at 12:02 PM. Probably aerodynamics. The top speed is around 200 now, and the old one sure wasn't meant for that. Of course, 200 isn't exactly useful day to day, you might be willing to give up 70mph for a better look. I'm personally really tired of the whole retro design craze... Actually I was over it a long time ago. The new car is very modern, and very, very good looking. It should make one hell of a race car too. You're right. That is the year I was discharged from the Navy, and the year I got married. In 1974, my wife and I bought a used 1972 Corvette (orange color), T-top, 350 V8, automatic from a 2LT. at Ft. Polk, LA. I worked for the Army (civil service) at that time and I was directing an audit of the Officer's Club. The LT. was single, and was being transferred to Germany, and did not want to pay the single individual sports car insurance rates in Germany. Believe me, they were substantial. We drove it for about 5 years with absolutely no problems and sold it when we were expecting our 2nd child and our priorities were definitely changing. It was a fun vehicle, but not practical. Wish I had it back. Last edited by TOUGEFC; 01-20-2013 at 08:27 PM. I saw the new 2014 Corvette on Sunday Morning. Beautiful. 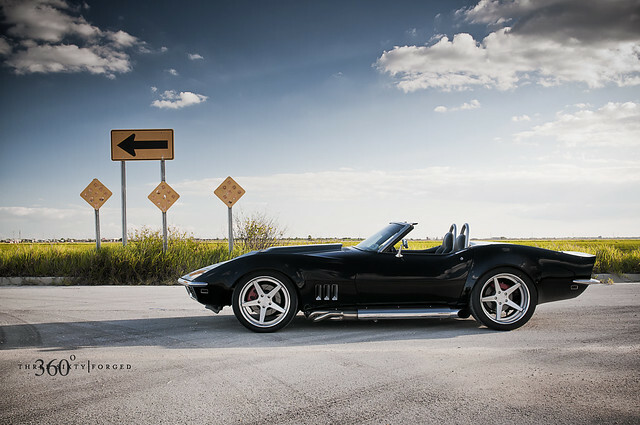 My favourite Corvette of all time has to be the 1963 Corvette Split Window coupe. Make sure it has the 340 hp/ 327 cube solid lifter , 4 bbl carb engine and the 4 speed manual transmission. Delete radio. From what I've seen, it looks good, but does it go? I'm not talking about straight-line stuff. Anything with a big V8 can do straight-line stuff. But does it go round corners? The only Corvette I've ever been in or driven was, from my unreliable memory, a 1970 or thereabouts 454. This was in 1973. My impressions were that it made a lovely noise, it was quite quick, it wasn't responsive (it was like a truck) and it was a pig to corner. However, I have a friend who had a much later model, C6 perhaps?, that was a really good car. I really hope that this one is good. Even though I'm a devoted Saab driver, I'm not an American car basher. The owner of one of the local butcher's shops has/had a split window Corvette. Very nice. He also has/had (he changes his stable) a few Mustangs and some of them were interesting.